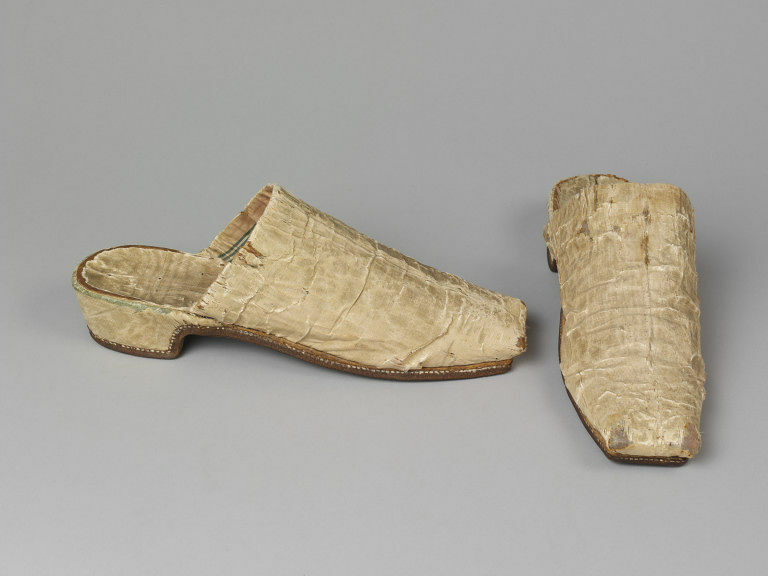 Both men and women wore mules or backless slippers in the 17th century. A gentleman would have worn this pair as smart indoor leisurewear.They are now faded from the original salmon pink. This was a particularly fashionable colour in the 17th century. 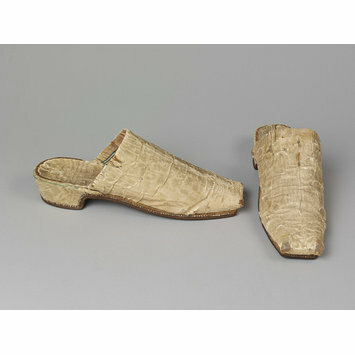 The shape of the heel and the pronounced square toe were both very fashionable in the middle of the 17th century.